The 'Maxi' recycling bins for kitchen is the largest capacity food waste recycle bin that's perfect for any household. Motion sensor activated opening helps reduce cross-contamination by eliminating the need to touch. The twin/double capacious 40L compartments provide ample storage for all your Home & office waste and recycling needs. The 80 litre maxi range of recycling bins for kitchen offers the largest capacity in the Autobin range while making use of the latest in sensor technology and design development to offer the very best in functionality and style. This model has been developed in response to the popularity of recycling bins. Rather than one main compartment for waste, there are two separate sections within the bin for different types of waste. 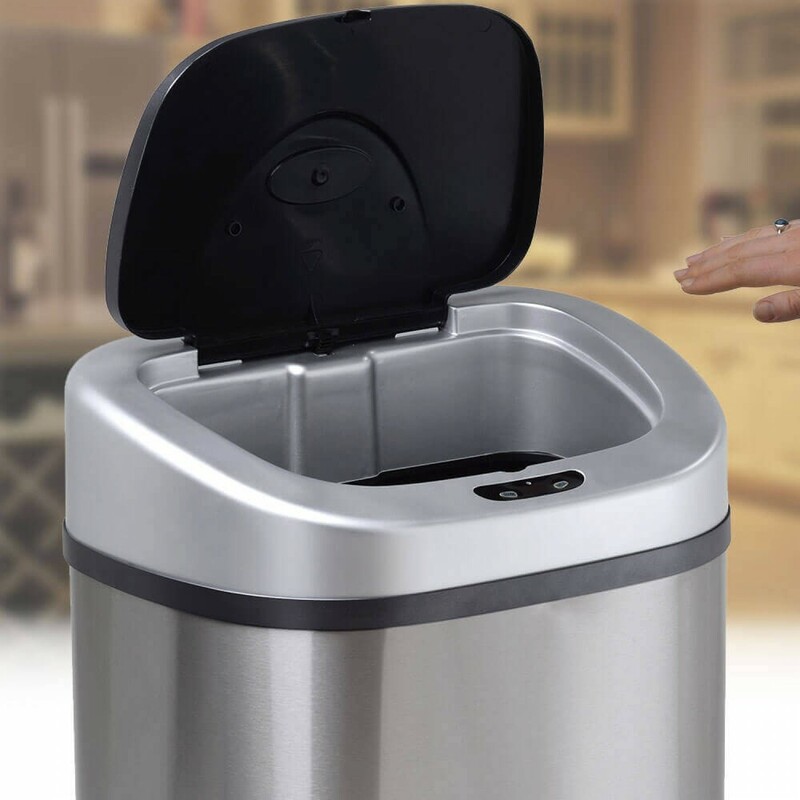 The kitchen recycling bin is ideal for managing the waste in a home or workplace. With so many households and professional setting becoming more aware of the management of their waste and the impact it may have on the environment, more and more individuals and companies are moving towards more conscientious waste disposal. Recycling is one way of doing this and the 80 litre maxi makes it easier and more hygienic. 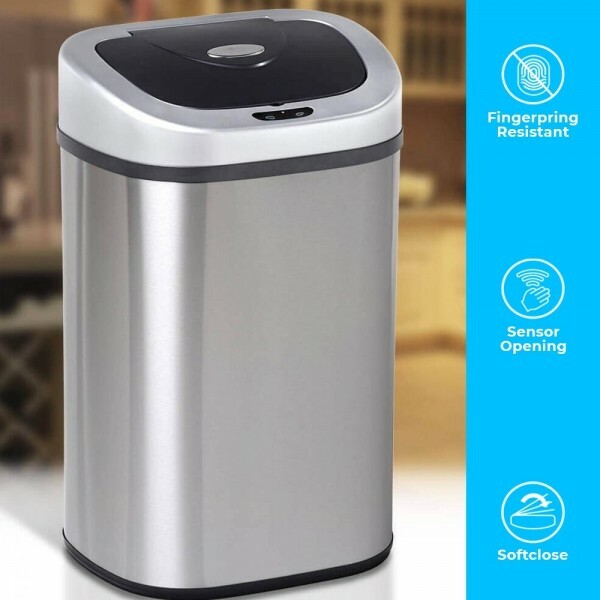 Wherever the bin is situated, from the family home to the doctor’s surgery, school or professional kitchen… it will bring a touch of style and a convenient solution for any waste disposal issue. The recycling bins for kitchen operates in the same way as our other sized auto bins. The sensor which is located at the front of the bin uses the latest in infra-red technology to detect movement. So, the bin ‘sees’ your hand and the lid opens automatically as a result. This enables you to use the bin hands-free; this is touchless tech at its very best. The lid then closes automatically (or you can keep it open using the handy open/close override button). The result is a more hygienic choice which is easier to use, especially when you might be sorting through waste to place it in the right compartment of the bin. With larger bins, the risk of the kitchen recycling bin liner slipping, sagging or stretching is higher, and we have combatted this problem (which can leave you with a lot of mess in the bottom of the bin) we have developed a clever solution – the bag retaining ring. Feedback tells us that this is one of the most popular aspects of our auto bin range. The bag retaining ring secures the bin liner so that it doesn’t fall or slip. It keeps the unsightly ends of the bag under wraps rather than have them sticking out of the top of the kitchen recycling bin – so you get a bin that looks better and functions better. Looks of a kitchen recycling bin are important, so as well as using the best premium grade stainless steel for all our auto bins, we have finished them in a brushed effect finish which is easy to clean and looks modern and stylish. The stainless-steel construction has been designed to be robust and durable. Manual over-ride buttons -"open" and "close" function.